Here is a scientific and extensively thorough explanation of how the Fur Bus works. You are guided through this extremely detailed step-by-step process by Trey Humphreys one of the original founders of the Fur Bus back in the early 1700's. How much does the Fur Bus cost? As much as you can expect from a quality service. Here's the deal. A typical Fur Bus is charged by the hour, between $150 - $300 per hour, depending on the day of the week, the number of people and how mean you are too us on the phone. We also offer other vehicle styles (vans, coach buses, SUVs, shuttle buses, school buses) in case your budget is a little tight. We will find you the perfect vehicle and not sleep a single wink until your trip is complete and perfect. 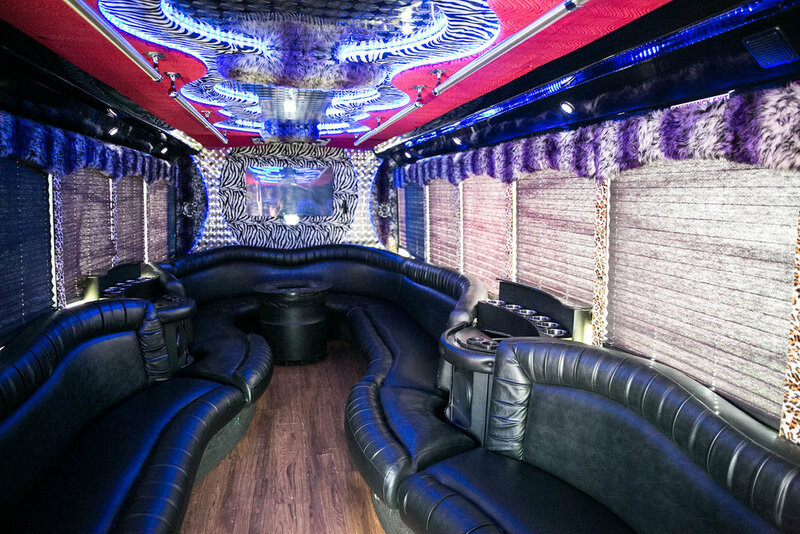 We are the most expensive party bus in the business. Why? Because we can and have for over 18 years. Because our buses cost a lot of money to build. Because our sound systems cost 5x that of the other companies. Because we show up on time every time. Because we are property insured and registered with the state. Because we care about our drivers. Not sold yet? We also help our customers with restaurant and bar recommendations, tickets for events and ideas for themes. We will tell you what soap and shampoo to use and what the best coffee shop is in Atlanta. We want to build friendships, not just sell buses. Ah, friendships…so sweet. So, are you ready to ride? Of course you are.